FOREPLAY (AUS) (Bay 2001-Stud 2006). 2 wins to 1100m, MRC Doveton S., L. Sire of 199 rnrs, 127 wnrs, inc. SW Decision Time (AJC Stan Fox S., Gr.2), Playcidium Mint, That's Not It, Rad, SP Jalan Jalan, Final Crescendo, Playtime, Kazio, Havatryst, Playitstraight and of Slik Sam, Boggoms, Just for Starters, Faith'n'courage, Sea Tryst, Shiny and New, Oh Romeo - Mega Heart (H.K. ), Play for Pleasure, Playful Rosie, Star Player, Take it Like a Man, etc. She's on Point (f. by Foreplay). Winner at 1050m in 2017-18, 2d BRC Breakfast Show H.
Ballet Point. 4 wins. See above. Cullen's Shadow. 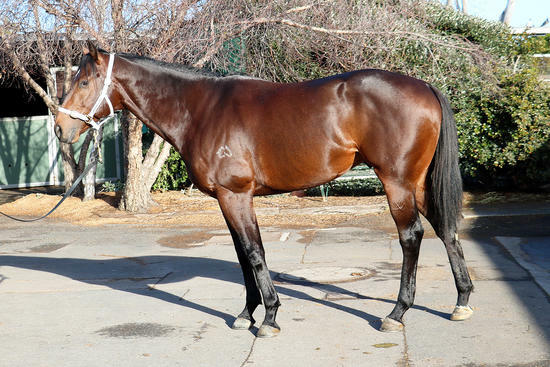 6 wins-1 at 2-to 1200m in Aust. Graceful Spirit. 4 wins to 1200m in Aust. THE RED EXPRESS (Exploding Prospect). Third top colt on The 1995-96 NZ 2YO Free H. 18 wins-2 at 2-from 800m to 1600m, NZ$245,105, CJC Challenge S.H., Gr.3, Timaru S., L, Great Easter S.H., L, Welcome S., L, North Canterbury RC Canterbury S., L, CJC Millennium Hotel H., New Zealand Insurance H., Inter-Island Horse Transport Brabazon H., Steam Tug Lyttelton H., WRC Hutt Valley Cartage H., CJC Riccarton Park Function Centre H., Wrightson Seeds H., Hawkes Bay Hastings Motors Ford Dealers Juvenile S., 2d CJC Stewards' S.H., Gr.3, Great Easter S.H., L, Matamata RC Slipper S., L, Waikato RC Star Way S., L, CJC Enterprise Homes H., Owners Association H., Robbie's Bar & Bistro Sports Bar H., 3d Manawatu Sires' Produce S., Gr.1, Hawke's Bay Guineas, Gr.3, CJC Stewards' S.H., Gr.3-twice, Flying S.H., L-twice, Great Easter S.H., L, Glenmorgan Farm H., Marton JC Balance Agri-Nutrient H., Otago RC Keep it Clean H., 4th CJC Stewards' S.H., Gr.3, WRC Wakefield Challenge S., Gr.3, CJC Flying S.H., L, Woodville-Pahiatua RC WFA Sprint S., L, WRC Lightning H., L.
Chipping Norton (Oak Ridge). 6 wins from 1400m to 2200m, CJC Terminus Hotel Timaru H., Racecourse Hotel Motor Lodge H., Win a Million Cup Day H., 2d CJC Riccarton Park Function Centre H., Clock 'n Tower Bar H., 3d CJC Churchill S.H., Gr.3, Smart Save Canterbury H., Flair H., Shades Tavern H.
Pick Number One. Champion Griffin in Hong Kong in 2017-18. 5 wins at 1200m, HK$4,745,500, in 2017-18, HKJC Victoria Harbour H., Lukfook Jewellery Convergence of Love H., Oak Maritime H., Hung to H., Tin Ha Shan H., 2d HKJC Chevalier Cold Storage H.
VIN DE DANCE (Roc de Cambes). 2 wins at 1200m, 2400m, NZ$623,500, A$133,800, in 2017-18, New Zealand Derby, Gr.1, 2d Waikato RC Harcourts Realty H., 3d ARC Avondale Guineas, Gr.2, MRC Alannah Hill H., 4th ATC Australian Derby, Gr.1, Rosehill Guineas, Gr.1. Tina's Delight. 3 wins at 1200m, 1250m, WATC Dongara H., Donner H. Producer. Masterkey. Winner at 1650m, HKJC IDD 0060 H., 2d HKJC Sun Chui H.
Dane Spirit. 2 wins at 1400m, 1700m in Aust. MARQUEE STAR (Kaoru Star). 15 wins-1 at 2-to 1400m, A$118,405, AJC Shorts H., L, BATC XXXX S.H., L, Gosford RC Pacesetter S., L, AJC Carnarvon H., Tamworth Cup, AJC Nearco Highweight H., Toparoa H., STC Kaiser Stuhl S., 2d STC Canterbury S., Gr.2, 3d City Tatt's RC Lightning H., L, Gosford RC Pacesetter S., L. Sire.